In the unforgettable final moments of this film, just before the "all quiet on the western front" armistice and with all of his comrades gone, soldiers are bailing water out of a dilapidated trench. The faint sound of a harmonica can be heard. Paul (Lew Ayres), a young German soldier, is sitting alone, daydreaming inside the trench on a seemingly peaceful, bright day. He is exhausted by terror and boredom. Through the gunhole of his trench, he sees a beautiful lone butterfly that has alighted just beyond his reach next to a discarded tin can outside the parapet. He begins to carefully reach out over the protection of his bunker with his hand to grasp it, momentarily forgetting the danger that is ever-present. As he stretches his hand out yearning for its beauty, a distant French sniper prepares to take careful aim through a scope on a rifle. As he leans out closer to the fragile butterfly and extends his hand, suddenly the sharp whining sound of a shot is heard. Paul's hand jerks back, twitches for a moment and then goes limp in death. All is silent and quiet. The harmonica tune stops. The tearful, sentimental ending in this memorable film is brilliantly conceived and acted. A blind flower girl (Virginia Cherrill) with restored sight recognizes and realizes that her benefactor is the vagabondish, funny-looking Tramp (Charlie Chaplin). Earlier, the Tramp 'stole' the same money he had once been given by a millionaire (Harry Myers) -he snatches the wad of money, gets away from the police, and rushes to the girl's home. Into her hands, he places all the money for rent and for a sight-restoring operation, even giving her $100 that he had saved in his pocket for himself. As he bids her farewell, he tells her that he will be going away for awhile. She again mistakenly believes, in her blindness, that he is her millionaire benefactor. After the Tramp has been released from prison following nine months of imprisonment, he ambles down the street and passes a flower shop where he sees the former blind girl through the shop window - now miraculously able to see. She has been watching and giggling at the comic/tragic figure through the flower shop window. He is transfixed with wonder and joy and he grins at her with a melting smile - but he also realizes how she wouldn't recognize him. She turns and makes an ironic comment to her grandmother inside the shop: "I've made a conquest!" - but she cannot imagine that he is her Prince Charming. The film's most simple, moving, eloquent and poignant finale is filled with melancholy and pathos. Although the Tramp tries to walk away and evade her, she stops laughing and pities him. Determined to help him, she calls him back and outside the shop, in a sympathetic act of charity, offers him a fresh white rose to replace the tattered, wilting one he picked up from the gutter. She also offers him a coin that she has just taken from the flower shop register. When she takes his hand and puts the coin in the palm of his hand, it suddenly dawns on her who he is. With her acute, sensitive sense of touch, she recognizes the familiar feel of his hands. As she runs her hand up the ragged fellow's coat from his shoulder to his face, she realizes that he is her mysterious benefactor - a shabbily-dressed little vagabond who raised the money for her operation. They recognize and see each other for the first time, reunited, face-to-face, the Tramp feeling many emotions at once - shame, fear, bravery, pain, tentativeness, love, bliss and joy. At first, she appears slightly dismayed - he looks so completely different from what she expected - and then she is moved. The Tramp smiles and his eyes light up when she recognizes and accepts him for who he is. The Flower Girl asks: "You?" The Tramp nods in assent and smiles shyly, and then points to his eyes: "You can see now?" The Flower Girl nods and her smile widens: "Yes, I can see now." She grasps his hand to her breast. The Tramp, anguished and ecstatic at the same time, stands frozen as he holds his finger to his mouth and places the gift of the flower between his teeth and clenches the stem with his teeth - it is a simple, meaningful gesture. The truth is revealed - she can 'see now' through his pretense - nothing more can be said. Their social roles are now reversed in this face-to-face encounter - his identity has changed from a benevolent millionaire to a vagabond, impoverished Tramp. She has turned from a poor, blind girl into a prosperous beautiful woman. With one of the most staggering shots ever filmed - a closeup of the Tramp's face and smile, she identifies him. The ethereal closeup of his radiant, smiling face fades to black. In a remarkable creation sequence in the watchtower during the raging storm in James Whale's horror classic, Dr. Frankenstein (Colin Clive) has rigged an apparatus to take the artificial body on a moveable platform to the opening at the rooftop of the tower where it can be electrified by a lightning strike. The astonished witnesses and onlookers watch and hear the defiantly mad, zealous Dr. Henry Frankenstein's theatrically convince his audience of his work: "Quite a good scene, isn't it? One man crazy - three very sane spectators." With startled eyes, they witness the bizarre experiment in horror. Dr. Frankenstein and Fritz (Dwight Frye) roll down a blanket (from head to foot) covering a white-shrouded, lifeless corpse. Then, they roll back the white sheet (from foot to head), revealing a monstrous, fabricated cadaver underneath. Amidst the crackling of transformers, dynamos, and electrodes, with Fritz's help, the table is moved to the rooftop, where it is repeatedly struck by lightning, to harness the awesome energy of the storm. Lightning flashes, and electric arcs jump from machine to machine, jolting a charge of life into the inanimate monster strapped to the operating table. Finally, the immense platform-table is then lowered back down into the laboratory. At first, there is no sign of movement or life - nothing seems to have happened and the creature fails to respond. But then, the creature's bare right hand that is hanging free twitches - a promising sign that the Monster (Boris Karloff) is coming to life. Dr. Frankenstein hysterically shouts: "Look! It's moving. It's alive. It's alive....It's alive, it's moving, it's alive, it's alive, it's alive, it's alive, it's alive! Oh - in the name of God. Now I know what it...["feels like to be God" - this phrase was censored and removed]." A mad and uncontrollable Henry is restrained as his cries are drowned out by lightning bolts, howling winds and thunder. One of the most vividly remembered, misogynistic, and vicious scenes in film history is the breakfast scene in this definitive and early gangster film. It is one of the single-most cruel acts ever depicted in a film. A life of crime has made the character cruel and hardened. In cocky gangster Tom Power's (James Cagney) apartment, he walks sleepily to the breakfast table in his striped pajamas. He is in a foul mood, bored, grouchy and irritable after a demanding phone conversation. Tom has grown tired of his relationship with moll girlfriend Kitty (Mae Clarke). At the table, she greets him without a smile. When he asks her for a beer for breakfast, she talks back. Tom: "Ain't you got a drink in the house?" Kitty: "Well, not before breakfast dear." Tom: "I didn't ask you for any lip. I asked you if you had a drink." Kitty: "I know Tom, but I-I wish that..."
Tom: "There you go with that wishin' stuff again. I wish you was a wishing well, so that I could tie a bucket to ya and sink ya." Kitty (provokingly): "Maybe you've found someone you like better." He looks down, makes a nasty grimace, and then impulsively picks up a grapefruit half from his plate and contemptuously pushes it into her face to end their relationship. She looks down, physically and painfully hurt and emotionally embarrassed by his crudeness. Choreographer Busby Berkeley choreographed/directed some of the most elaborate films and production numbers ever, including this one - his most extravagant fantasy film. In most of these unique films, emphasis was on large extravagant (sometimes outlandish) musical numbers and sets. He used his chorus girls not as individuals but as parts of large, attractive geometric patterns moving with precise choreography. The images could be animated tiles in vast, ever-shifting mosaics, fanciful geometric patterns or cascading designs. Often, he would use his legendary cinematic "top view" shot to capture the kaleidoscopic views. He dressed the girls up in preposterous costumes, sometimes as coins or musical instruments, or the chorus girls would wear next to nothing but wisps of gauze. the eight minute Honeymoon Hotel features a Jersey City, NJ hotel with staff members who wink at the arrival of a honeymooning couple. The hallways contain only young amorous couples wearing skimpy nightgowns and pajamas. Eager bridegrooms share a communal bathroom before bedding down. House detectives wonder why everyone is registered there by the name of Smith. the second ten-minute extravaganza By a Waterfall is an amazing geometric number featuring a gigantic waterfall covered with scantily-clad bathers who dive and slide down the rocks, an aquacade of over 100 swimmers shot both from above and underneath its glass sided aquarium, and a revolving, human water fountain. the final ten-minute sequence, Shanghai Lil, involves theatrical producer/sailor boy Chester Kent (James Cagney) searching for his girl Shanghai Lil in a stylized Oriental bar and nightclub populated with Chinese prostitutes. He finds the black-wigged girl (Ruby Keeler), in a scene inter-mixed with a brawl involving sailors, marines, civilians, and chorus girls. In the patriotic finale, he joins the marching troops, and groups of top-photographed performers create the Stars and Stripes, an image of FDR, and an American eagle. "Now Sawyer, you listen to me and you listen hard. Two hundred people, 200 jobs, $200,000, five weeks of grind and blood and sweat depend upon you. It's the lives of all these people who have worked with you. You've got to go on, and you have to give and give and give. They've got to like you, they've got to. Do you understand? You can't fall down. You can't, because your future's in it, my future and everything all of us have is staked on you. All right now, I'm through. But you keep your feet on the ground and your head on those shoulders of yours and go out - and Sawyer, you're going out a youngster, but you've got to come back a star." Peggy is pushed on-stage for her debut leading appearance. 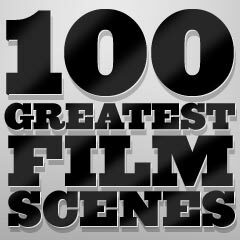 The final moments of this film contain some of the most familiar and memorable of all images and sequences in film history. Atop the Empire State Building, Kong clutches Ann (Fay Wray), the girl whose blonde beauty touched his heart. He places her on a ledge and then roars in defiance at the planes which are strafing him with machine gun fire. A squadron of fighter biplanes swirl around him in an attack to shoot him down, as he swats at them like irritating mosquitoes, but he cannot reach them. The perspective of the diving, sweeping planes takes the viewpoint of the pilots. He flinches as machine gun bullets rip into his body. Kong sends one careless pilot to a fiery death by snatching him out of the sky. After a vicious attack into his throat and body, he is weakened and knows that he is dying. He touches his chest, and then looks at the blood on his fingers from a chest wound. He wipes his forehead with the back of his hand. He gently picks Ann up one last time to look at her with affection. Then, he returns her to the ledge and strokes her gently with his fingertips. After another volley of bullets into his throat, his head droops and his body sways and staggers - he is barely able to hold on. When he loosens his hold from the building he silently plunges to his death to the street far below. Tragically, Kong is no longer an object of terror and fear, but of pity. Following a classic abdication scene, Swedish Queen Christina (Greta Garbo) renounces her throne and duty in favor of love and romance, after her subjects rebel at the thought of her marrying a Spaniard who would become king. She agonizes over her decision: "Evidently, my people who are said to love me, do not wish me to be happy." In the bleak finale, after Spanish envoy Don Antonio (John Gilbert) tragically dies in her arms on the deck of her sailing ship, she is exiled from Sweden forever but she optimistically muses: "The wind is with us." As the sails bloom out, she moves to the bow of the ship and stands mutely as a figurehead. A lengthy, lingering zoom-in and close-up shot of her beautiful face conveys a blankly enigmatic, immortal, Mona Lisa look as she unblinkingly faces her destiny. In the most-remembered and funniest sequence, headstrong heiress Ellie Andrews (Claudette Colbert) and out-of-a-job newspaperman Peter Warne (Clark Gable) compare hitchhiking techniques to try to attract a ride. First, Peter confidently brags about his expert knowledge with a detailed lecture on the three proper and correct ways that common people hail cars while thumb hitchhiking: "It's all in that ol' thumb, see?...that ol' thumb never fails. It's all a matter of how you do it though." As he demonstrates his teachings in real action as cars come by, she lies down on the top rail of a fence in an uncomfortable position, watching him but not convinced of his ability. He tries the first method ("a short, jerky movement like this - that shows independence") on a sole car, but it fails and the car drives right on by. When he tests method number two ("a little wider movement - a smile goes with this one"), they watch over a dozen cars on the country road leave them in their dust without even slowing down as Peter tries every variation of thumb-wagging in his repertoire. Method number three also fails ("When you're broke and hungry and everything looks black. It's a long sweeping movement"). Peter thumbs his nose at the last car - his infallible methods with all three thumb-wagging techniques are totally unsuccessful and he is quickly deflated and defeated. So Ellie offers to give it a try, demonstrating her superior hitchhiking technique, but he mocks her proposal to do better. Without using her thumb at all, she provocatively raises her skirt above the knee, exposing a shapely, stockinged leg. Her technique is immediately effective and the next car screeches to a halt. She asks for a little credit for her alternative thumb-less method: "Aren't you going to give me a little credit?...Well, I proved once and for all that the limb is mightier than the thumb." The highlight of director George Stevens' is the classic, tragically funny, disastrous dinner-party scene. The aspiring title role character Alice Adams (Katharine Hepburn) hopelessly wishes to rise up above the low-social prominence of her vulgar, poor family. To impress a rich new suitor Arthur Russell (Fred MacMurray) at a stylish dinner party at her own home - in the wilting heat - she fiercely wishes to make a good impression by having conned Arthur into believing that her folks are well-to-do. She has fictionalized her life to him and forced everyone in her family to pretend that they are something other than themselves. The slovenly, gum-chewing and drunk part-time black servant Malena (Hattie McDaniel) has been coached to make it a first-class event, but she valiantly makes a mess of things. With her maid's cap falling off her head, she serves caviar sandwiches - in slow-motion - as an appetizer. After forcing open the stuck dining room doors, Malena inelegantly announces: "Dinner is served." Alice's father Virgil (Fred Stone), whose shirt front keeps popping open, responds: "Well, that's good. Let's go see if we can eat it." Although it is a sweltering, humid night, they have hot soup as a first course. The soup plates are removed before the diners are finished. Ill-at-ease and sweating profusely, Arthur plays with his sweetbreads course, but politely compliments the hosts. Alice chatters and smiles away, trying to make a good impression. The brussel sprouts, which have smelled up the house, are thrust at everyone. Having forgotten the maid's name, Virgil calls "Here you" when he requests water to drink. With tears in her eyes, Alice asks Arthur: "A penny for your thought. No, I'll pay more," and offers him a "poor, little dead rose" as further payment. Obviously, she knows that he has seen the reality of her bumbling, cloddish family, but he replies: "I'm afraid I haven't any." Tremulus and vulnerable from worry, she pleads as she wipes her tears: "Will you ever forgive us...for making you eat such a heavy dinner?...You can run on home as soon as you like."